Why do the Old Testament texts in Comments differ from the RCL I'm using? What texts are commented on? Why aren't there comments for the Feast day I'm looking for? Are there any rules for interpreting the calendar? Are there any size limitations? What is the history of the Comments web site? 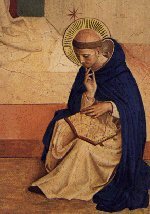 What is the significance of St Dominic? I have a web site. Can I link to Comments? Can Comments link to my site? Why doesn't Comments have a links page? I use Word for Windows 6.x - what file format should I choose? I use AOL - how can I use attached files from e-mail? I'm having trouble printing the lectionary texts. How can I do it? How can I give my feedback, or have another question answered here? The Revised Common Lectionary (RCL) was produced by the Consultation on Common Texts, an ecumenical body formed in the mid-1960's for consultation on worship renewal among the Christian churches of the United States and Canada. The RCL gives a scheme of readings for Sundays and a few main feast days. Users of the RCL will read the greater part of the Bible in three years. Year A (beginning Advent 1995, 1998, 2001...) concentrates on the Gospel of Matthew, while Year B focuses on the Gospel of Mark, and Year C on Luke. The Gospel of John is read chiefly around Christmas, Lent and Easter, and during Year B, as Mark is shorter than the other two Synoptic Gospels. Readings from the rest of the New Testament, the Old Testament and the Psalms round out the selection for each week. Sometimes readings from the Apocryphal / Deutero-Canonical books appear in the lectionary. When this occurs, there is always an alternative reading from the Old Testament. The term lectionary can be applied both to a scheme of readings (as used here), or to the readings themselves, generally published in book form. Various denominational publishers make the readings available as a single book or in leaflet form for distribution to congregations. The RCL is available on-line from Vanderbilt University (including tables of the lessons and the texts themselves), or in book form, published in Canada by Wood Lake Books, in the United States by Abingdon Press and in Great Britain by the Canterbury Press, Norwich. For more information on the RCL, the official book contains an excellent introduction, a history of the RCL and a bibliography. Clippings - more extensive notes that were not used in the commentary because of space limitations or complexity. The author of Comments is Dr Chris Haslam. Now retired from consulting, Dr Haslam holds a Ph.D. in Engineering. He returned to university part-time to study theology in 1989, and has studied at the graduate level. Dr Haslam is a member of the Diocese of Montreal (Anglican Church of Canada). Chris was a founder of the New Community at the former Church of St. James the Apostle in Montreal, and has led adult Bible studies at several churches. 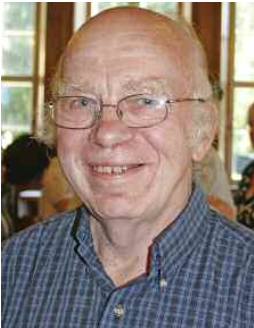 He is currently a member of St. James, Hudson, Quebec where he sings bass in the choir. The present publisher, Jane Aitkens, is a member of the Montreal Anglican cathedral congregation, and the Cathedral Webmistress. Her actual paying job is Systems Librarian at McGill University. During Ordinary Time the Revised Common Lectionary provides two options for the Old Testament lesson and Psalm, one providing a semi-continuous progression through the Old Testament, and the other geared to the theme of the Gospel lesson. Comments use the semi-continuous option, which is the standard for the Anglican Church of Canada. If your church uses the thematic option, then the first two readings will be different, but the New Testament and Gospel readings will be the same. We hope that Comments are still useful to you. Comments are provided for the readings of the Sunday each week. During Ordinary Time the Revised Common Lectionary provides two options for the Old Testament lesson and Psalm, one providing a semi-continuous progression through the Old Testament, and the other geared to the theme of the Gospel lesson. Comments use the semi-continuous option, which is the standard for the Anglican Church of Canada. Where there are choices of readings within the option, commentaries and introductions are supplied for all the readings, and a note concerning the option is provided. Where feast days occur, which may take precedence over the Sunday readings in some denominations, Comments are normally provided for both the Sunday lections and the Feast day. The first set of Old Testament readings in Ordinary Time (the Green seasons for those who use liturgical colour) is "semi-continuous". This means that essentially complete stories or threads are read over a number of Sundays. In this way, we read consecutively through large portions of single biblical books, with few omissions. When this option is chosen (as Comments does) the Old Testament or Apocryphal lesson is not specifically related to the Gospel or the New Testament lessons. (Occasionally one hears sermons bravely preached by people who do not realize this fact, and the homiletical contortions used to relate the readings can be quite staggering.) The New Testament readings are always semi-continuous in Ordinary Time. The second option for Old Testament readings does relate these to the Gospel lesson. This option is used by a minority of churches and does not appear in Comments. The reason for not including this option is entirely arbitrary: the Anglican Church of Canada recommends the semi-continuous option, and we have limited energy to comment on extra texts, which we tend to expend for special days. In either case, the Psalm or Canticle is always related thematically to the first reading. During special seasons (the non-Green coloured ones of Lent, Easter, Advent and Christmas) all the readings for a given Sunday are related to each other by theme. The inclusion of extra commemorations that supercede the Sunday is controversial. During the Reformation, lectionary reform (notably by Archbishop Thomas Cranmer of Canterbury) attempted to reduce these special commemorations to an absolute minimum, because they interfered with the semi-continuous reading of the Bible. Along the same lines, the Revised Common Lectionary provides for a very limited number of feasts in order to allow for the more or less complete reading of the Bible from cover to cover in a three-year span. Comments follows the wisdom of the Revised Common Lectionary in not generally providing for extra feasts, with the exception of those mandated by the Anglican Church of Canada. Your denomination's rules may differ somewhat, and therefore you may find that a given feast day appears to be excluded for an arbitrary reason. For more detail, see the next question. Briefly, yes. While the Revised Common Lectionary uses an ecumenical approach to the ecclesiastical calendar, each denomination typically has its own rules. Sometimes two parts of the same communion may have slightly different rules, as is the case with the Episcopal Church of the United States and the Anglican Church of Canada, for example. Comments follows the calendar of the Anglican Church of Canada, though we do try to take ecumenical considerations into account. In our calendar, only certain Principal Feasts and Holy Days may supplant the Sunday Readings. Most feasts cannot be transferred on to a Sunday unless that feast is the Patronal Festival of the parish. Certain feasts may optionally be celebrated on a Sunday if the date naturally falls on a Sunday. Other feasts are always transferred off the Sunday if they are to be kept at all. In addition to these, the Epiphany (January 6) may optionally be transferred onto the preceding Sunday, and All Saints (November 1) may optionally be transferred onto the following Sunday. Harvest Thanksgiving may be observed on a Sunday according to local custom. Some parishes observe Thanksgiving on Sunday before the second Monday of October (the Canadian Thanksgiving Day), while some observe the festival on the Sunday previous. The Revised Common Lectionary supplies texts for this observance. The Revised Common Lectionary does not provide for feasts above marked with an asterisk. For those feasts we use the texts specified by the Anglican Church of Canada. For the Transfiguration, the Revised Common Lectionary provides for the feast as the Last Sunday After Epiphany. We use those readings for the current year when the Transfiguration is to be celebrated on a Sunday in August (as in 2000). In future, this feast's place in the calendar may be subject to review, as its inclusion in August is redundant. A complete bibliography of books and software used in preparing Comments is available. Comments was initially designed to fit on a single 8� x 11 inch page, printed landscape in two columns. This makes it ideal for distribution as a bulletin insert. The space limitation also helps to keep Comments brief and manageable for the reader, and for the author. Extra material, which may be more technical in nature, is included in Clippings. Comments are normally updated on Tuesday (in the Eastern time zone, GMT-5). The update is usually completed by the afternoon, but occasionally there may be an unavoidable delay. As we provide two weeks' worth of Comments, we hope that periodic delays will cause a minimum of inconvenience. Subscriptions to Comments by e-mail attachment are available. Comments were initially published as a weekly bulletin insert at the Church of St James the Apostle, and later sent by e-mail to the Parish of Lachute. In July, 1996, a rudimentary demonstration web page containing the commentary for the next Sunday with links to the readings was created. The main purpose of this page was to show the Bishop of Montreal some of the potential of the World Wide Web. The page was maintained for two or three weeks. Beginning in August, 1996, Comments has been maintained continuously and has evolved since. A counter, added in late August, 1996, showed some 17 hits per week. A year later, there were close to 500 hits per week, and by the end of 1998, over 1300 visitors were stopping by on a regular basis. Readership continues to grow. See also Now we are Six!. The Portuguese version of Comments has been offered since October, 1996. Written by Bishop Sumio Takatsu, of the Igreja Episcopal Anglicana do Brasil, these commentaries follow the lectionary for that church, which is an earlier version of the Common Lectionary. The French version, Commentaires, went on-line in December, 1998. This version was translated and adapted from the English version, and the web pages maintained by Michel Gagnon of the Diocese of Montreal. Most of the developments in the evolution of the web site have come as a result of feedback from visitors. If you have any suggestions, please pass them on. The Dominican Order (Ordo Praedicatorum) has sought throughout its existence to foster learning and orthodoxy. The icon of its founder studying the scriptures is particularly appropriate to grace a web site dedicated to similar goals. A note to webmasters: Two or three people have deduced the file naming convention used by Comments and linked directly to individual pages within the site. We do not generally recommend this practise because, as Comments has evolved, we have had to change or expand our naming convention on at least four occasions. While we cannot foresee any such need in the immediate future, it may arise again unpredictably. In general, it is best to link to our main page, as specifed above.